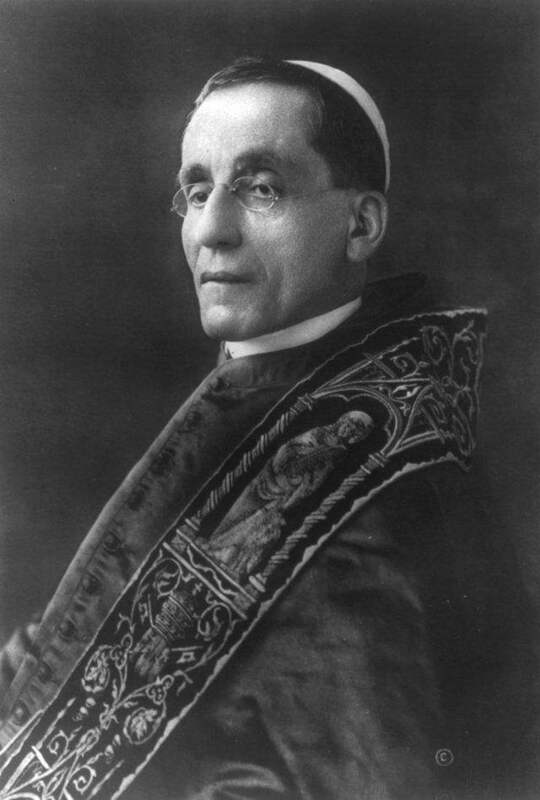 Pope Benedict XV, elected September 1914. This month’s news roundup, once again, emphasizes the degree to which World War I was eating up headlines throughout the “civilized” world. Once again, I’m trying to go beyond that. ], because it wasn’t the only thing that affected film. World War I: The German Western advance is halted by the Allied counterattack which becomes the “First Battle of the Marne,” lasting from Sept 5-12. In only a week, 500,000 men are killed or wounded, setting the bar for bloodiness and positional combat. Geography: Russia changes the name of “St. Petersburg” to “Petrograd,” on Sept 1, ostensibly because “Burg” was a German word and Russia was now at war with Germany. Animals: The last known passenger pigeon died on September 1 in the Cincinnati Zoo. The species had once been prolific, and flocks would darken the sky when they flew overhead, but became extinct due to habitat loss and overhunting. Religion: Pope Benedict XV is chosen by the College of Cardinals to succeed the recently deceased Pius X. His term officially begins September 3. Uprisings: The Maritz Rebellion begins in South Africa on September 15 as disaffected Boers once again demand separation from the British-dominated Union of South Africa. The Boer War had ended only twelve years earlier in Boer defeat, and this rebellion would also be put down after several months. Trade: the United States Federal Trade Commission is established on September 29th, as a part of President Wilson’s war against trusts and monopolistic practices. Releases: “The Virginian” starring Dustin Farnum is released September 7, both “Patchwork Girl of Oz” and “Magic Cloak of Oz” are released September 28. Born: Robert Wise (Sept 10) who would edit “The Magnificent Ambersons” and direct “West Side Story,” Desmond Llewellyn (Sept 12), best known as “Q” from the original “James Bond” films, and Kenneth More (Sept 20), who appeared in “Genevieve” (953) and “Raising a Riot” (1955).